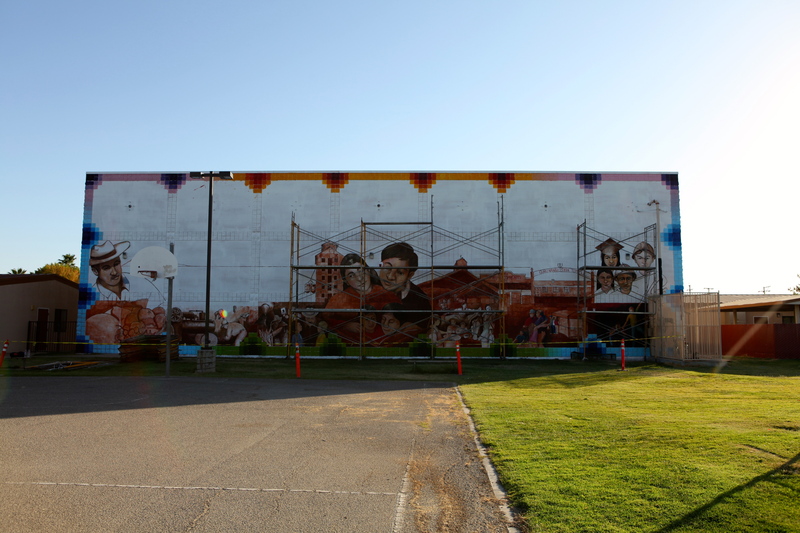 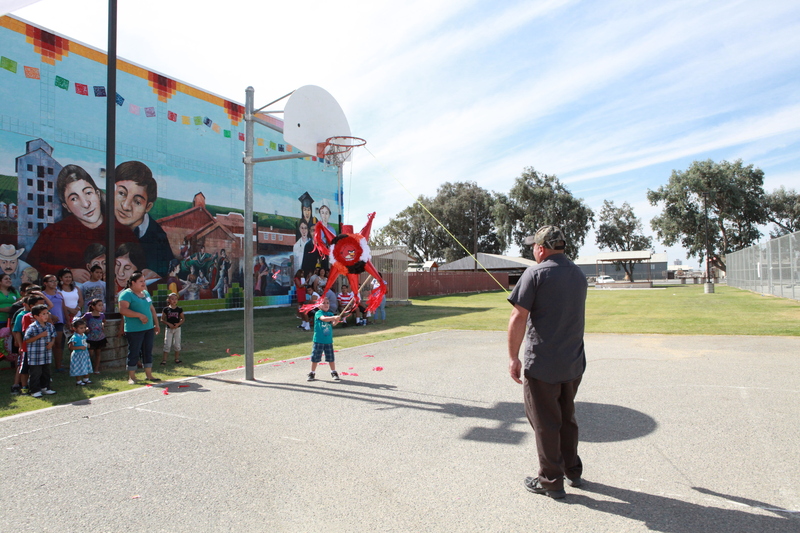 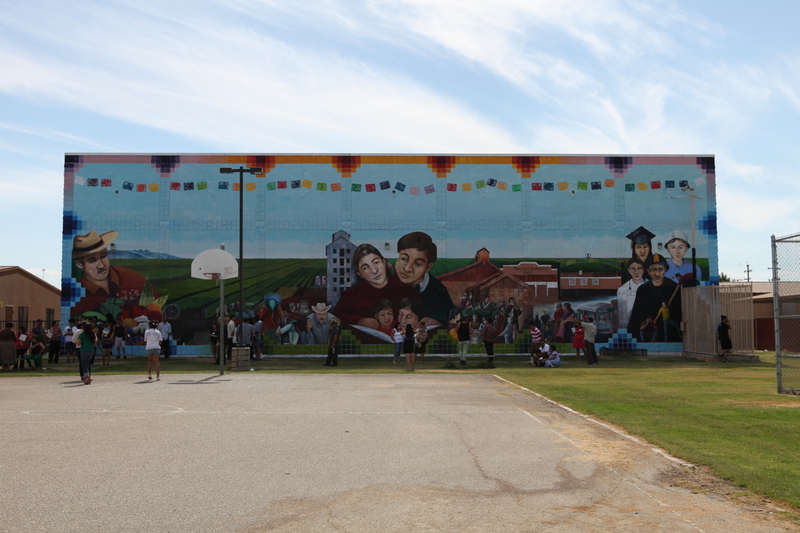 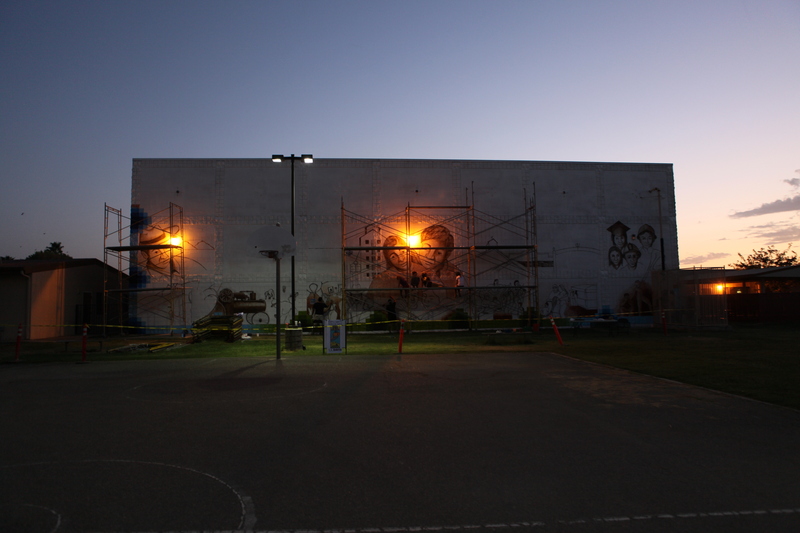 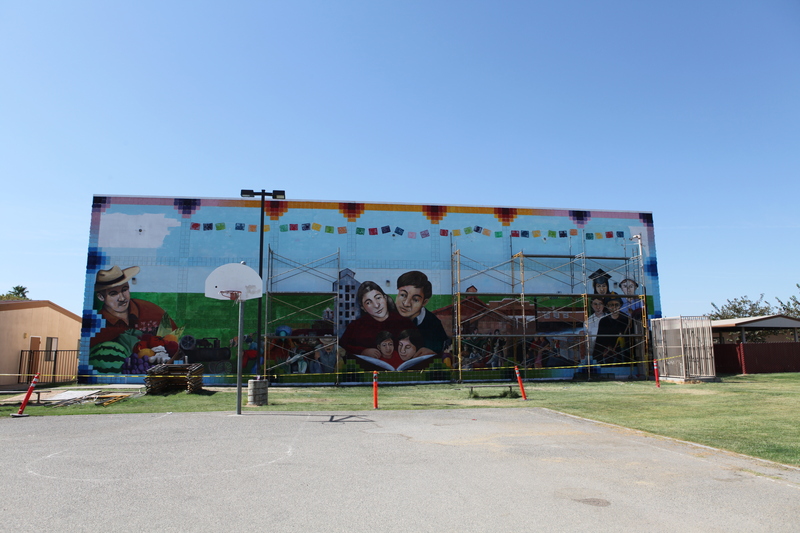 In September 2012, TANA, along with Chicana/o Studies and local community youth from the community of San Joaquin, painted a Mural in San Joaquin, CA, as part of the Niños, Sanos, Familia Sana (Healthy Children, Healthy Family) program. 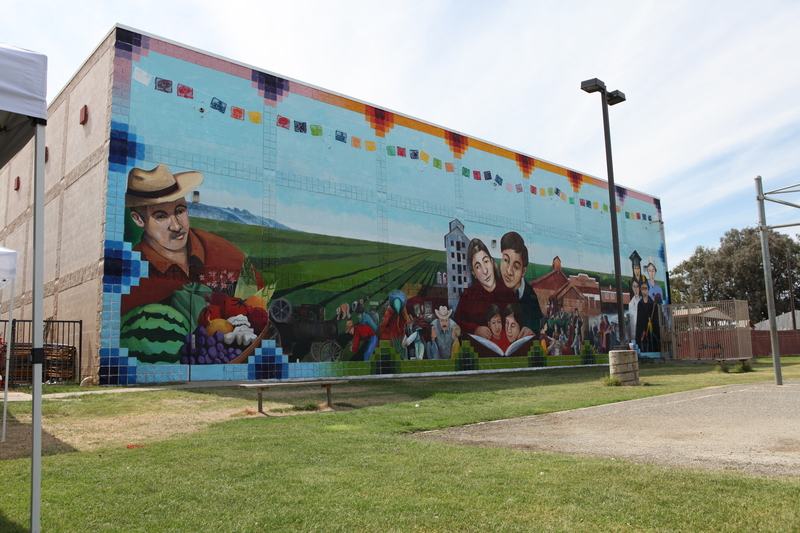 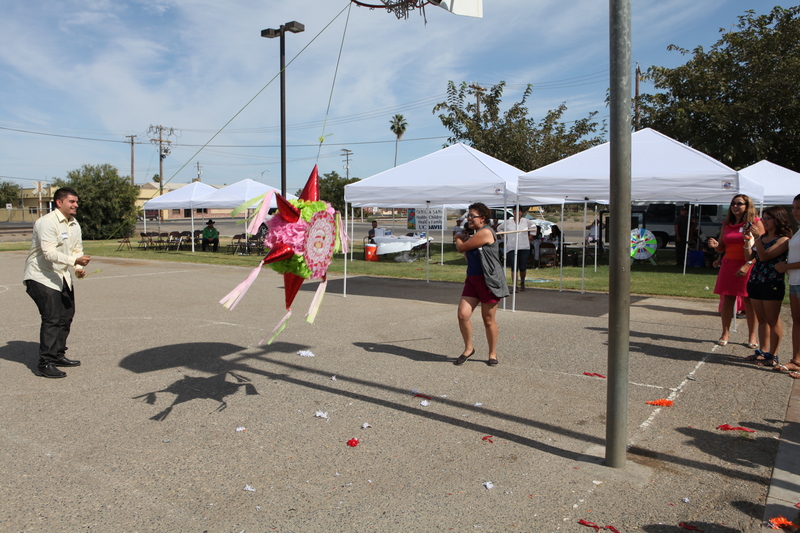 Niños, Sanos, Familia Sana (Healthy Children, Healthy Family), is a multifaceted intervention in the communities of Firebaugh, CA and San Joaquin, CA that integrates nutrition, physical activity, economic, and community based art interventions focused on empowering families, schools and communities to respond to this growing health problem and create healthier communities. 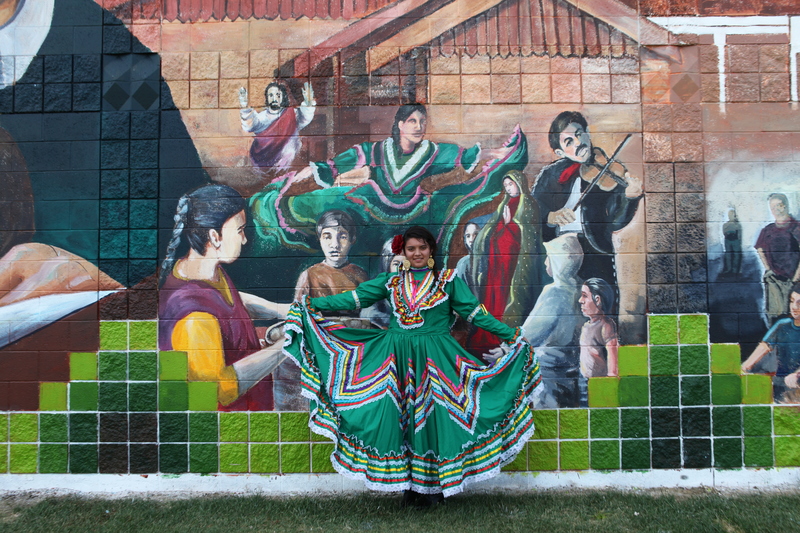 TANA works alongside this project to help bring art projects to these communities. 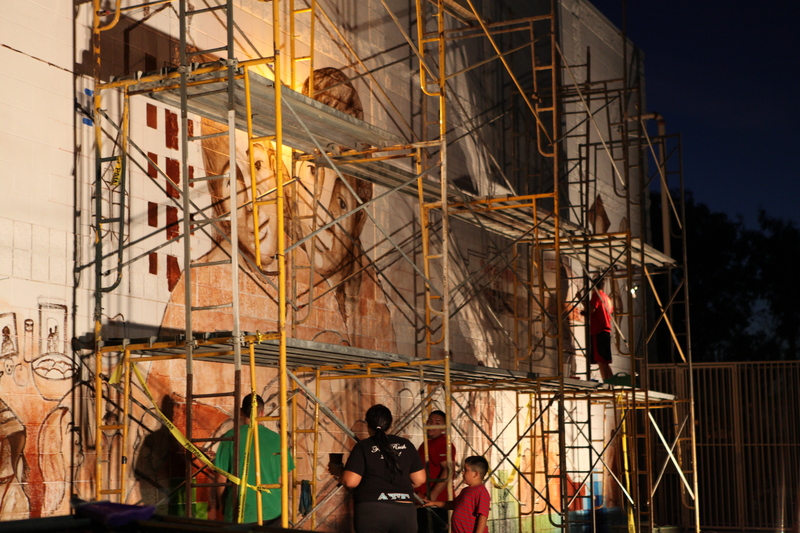 Through the poster and mural, TANA has supported the interventions and given a voice to issues at hand in these communities. 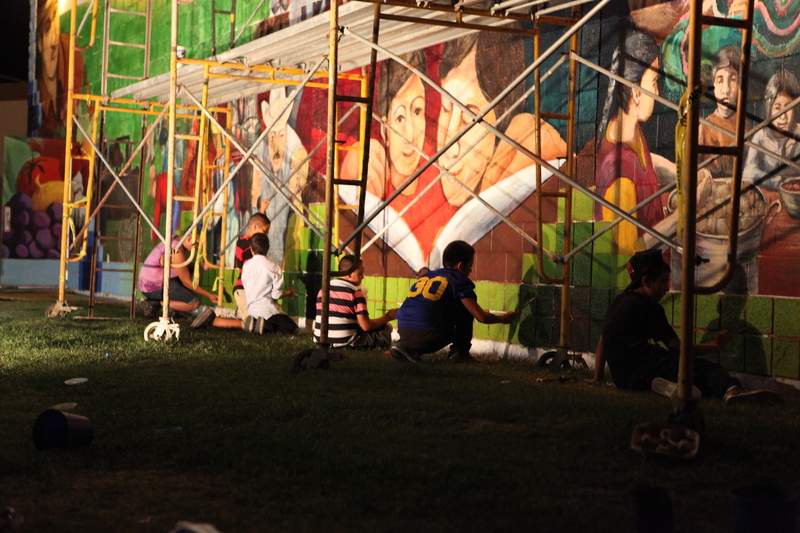 It is our hope that through the art projects provided, a positive social change can occur in these communities. 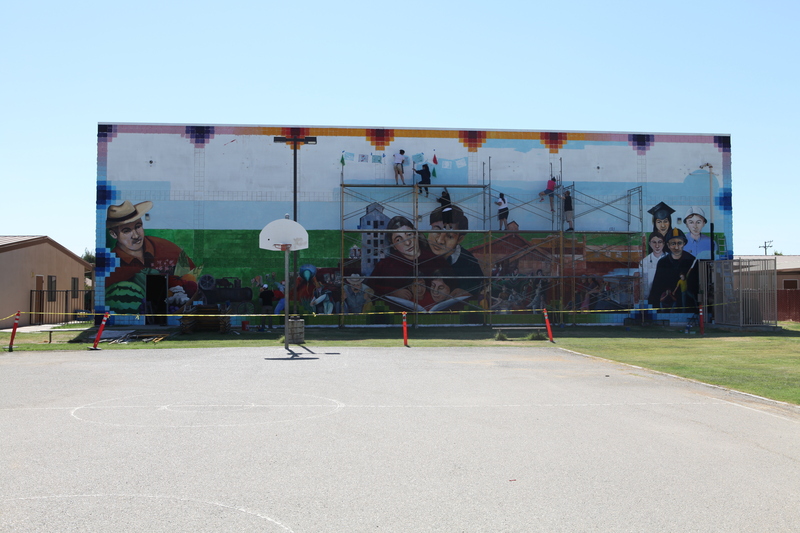 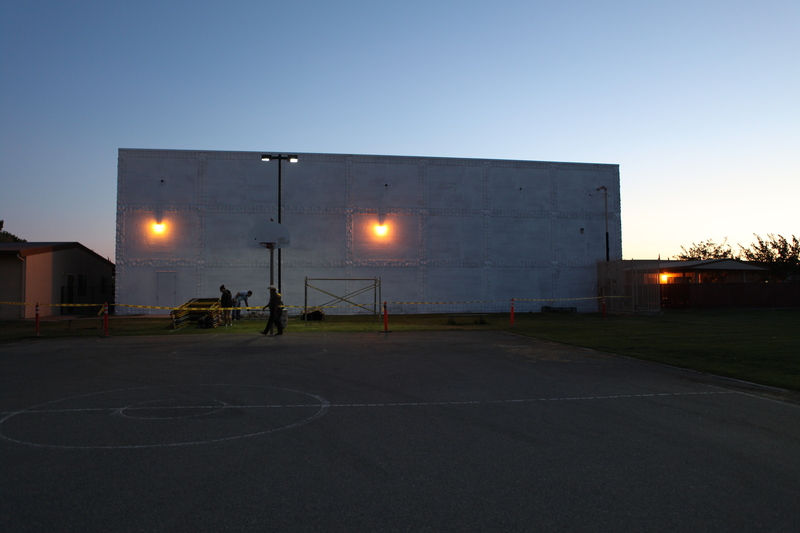 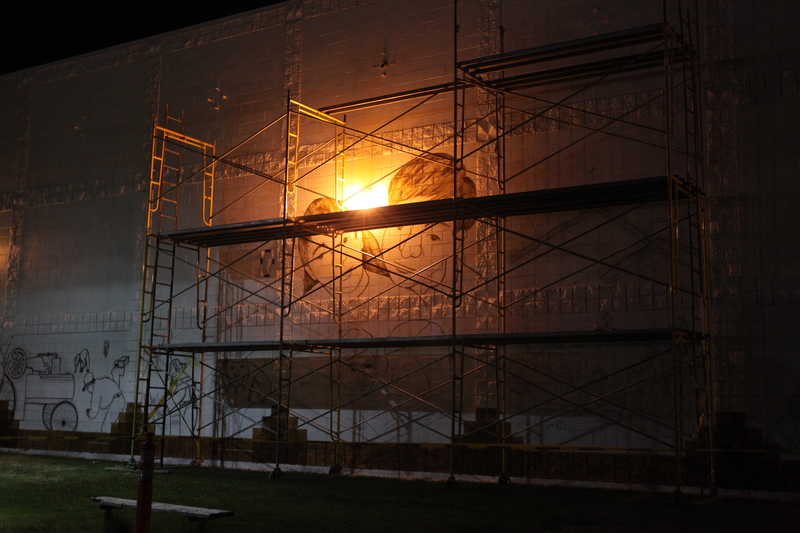 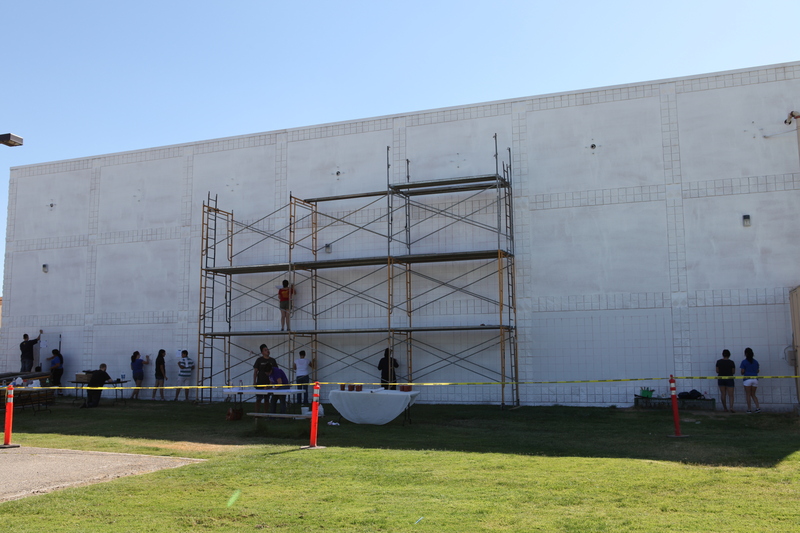 Below are some photos of the mural process, from start to finish, along with pictures from the mural unveiling. 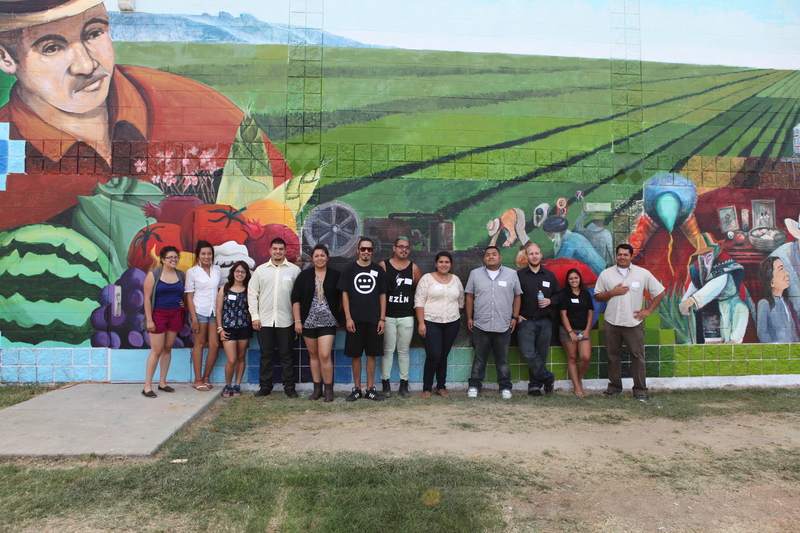 Thank you to the community of San Joaquin, for welcoming and participating in the making of this mural, and to surrounding community members who continue supporting TANA’s efforts, making projects like this one possible.